A few days ago, we talked about how some experts have determined that English people are of one-third Anglo-Saxon ancestry. Well, a new research has hinted how the genetic distribution in Britain before the Anglo-Saxon migrations/invasions was not that heterogeneous, even after the impact of the Roman Empire. This study interestingly comes from further analysis of the decapitated skeletons of (what seems as) male gladiators in ancient Britain. The headless specimens were originally discovered from a Roman burial site in Driffield Terrace in York. Unsurprisingly dating from 2nd to 4th century AD, the remains conform to an area which was better known as Eboracum – the provincial capital of Roman Britain’s northern reaches. Now in terms of standout features, other than just their decapitated states, the archaeologists also found evidences of physical trauma in the skeletons, including cut marks to arms and fingers. Moreover, all of the males were found to be younger than 45 years, while displaying heights taller than the average. Added to these injury marks, the historians have also been able to detect possible infections and childhood stress in these ‘Roman’ skeletons. 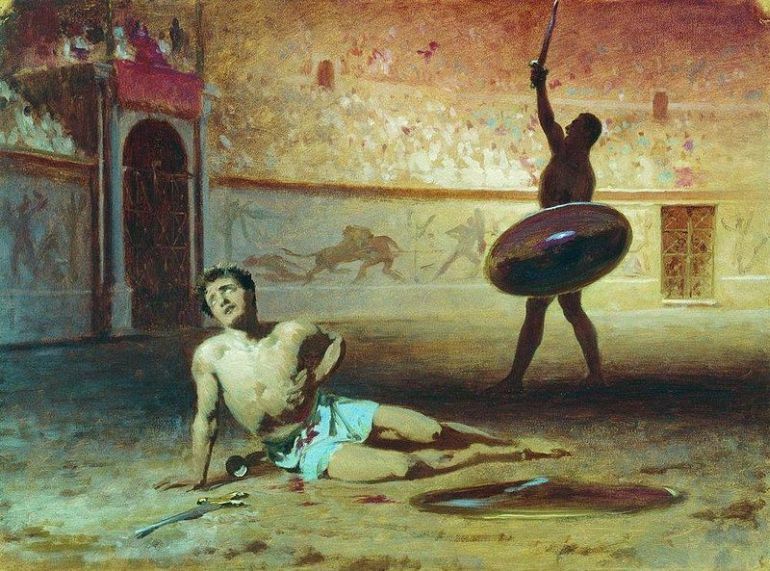 These physical and (possibly) psychological effects suggest that the men were probably gladiators (read more about gladiators here). Though the other possibility remains that they served as Roman legionaries, where men above a certain height threshold were only inducted (read more about Roman legionaries here). In any case, the archaeologists from the University of York were able to collect high-quality DNA samples from a particular ear-region of the seven skeletons. 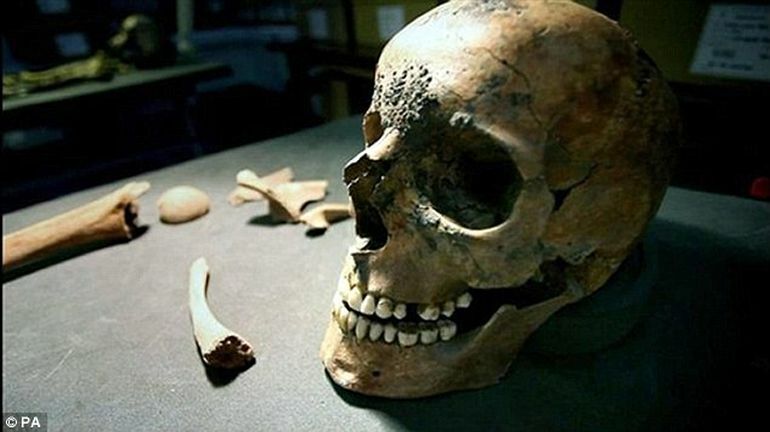 They also salvaged some DNA samples from two other skeletons – an Iron Age female and later-dated Anglo-Saxon male. On comparative analysis, the York ‘gladiators’ were found to have a similar genome to that of the Iron Age specimen, but were markedly variant from the Anglo-Saxon genome. This suggests that the genetic makeup of the British people really didn’t change that much under Roman rule. In fact, most of the York ‘gladiators’ were assessed to be pretty similar to the present day Celtic population in Britain, like the Welsh. Now we must stress on the word ‘most’. That is because, among the seven skeleton specimens, one was found to have a fascinatingly different genome, with its origins from the Middle East, possibly Lebanon or Syria. This certainly alludes to the dynamic society that the Roman Empire stood for. And if we stretch the ambit a bit, some researchers have even talked about how the legendary King Arthur was possibly related to the Sarmatian horsemen (from South Russian steppes) stationed in Britain during the Roman times. Simply put, while the Romans might not have made their genetic mark on the native British populace (at least as much as the later Anglo-Saxons did), their periodic cultural influences sometimes brought forth ‘foreigners’ into the land. The excitement is, we are now technologically able to do this kind of work, which is mind-boggling when you consider the great achievement of sequencing the first human genome was less than 15 years ago, and now we can sequence the genomes of Romans from York and Anglo-Saxons in Cambridge. It’s just absolutely extraordinary. The study was originally published in Nature Communications.